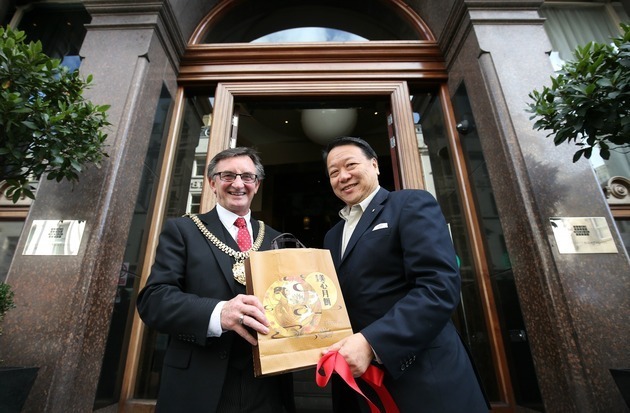 The Lord Mayor of Liverpool has met with the CEO of Millennium Hotels & Resorts following the global brand’s acquisition of Hard Days Night Hotel. During the meeting, CEO Aloysius Lee discussed his future plans for the iconic hotel with Cllr Tony Concepcion, and talked about his excitement for the North John Street property. Aloysius said: “The city of Liverpool maintains its prominent stance through its investment in forward thinking projects; many of which are overseen by key figures within the city such as the Lord Mayor. It is for this reason that I looked forward to meeting him, and was keen to discuss the future of the hotel and our strategies to drive more global traffic to the city itself. The iconic Grade II listed hotel was officially acquired by Millennium Hotels & Resorts on August 19 and adds to the hotel group’s already dynamic and impressive worldwide portfolio of more than 100 hotels. For more information about Hard Days Night Hotel visit www.harddaysnighthotel.com or call 0151 236 1964.